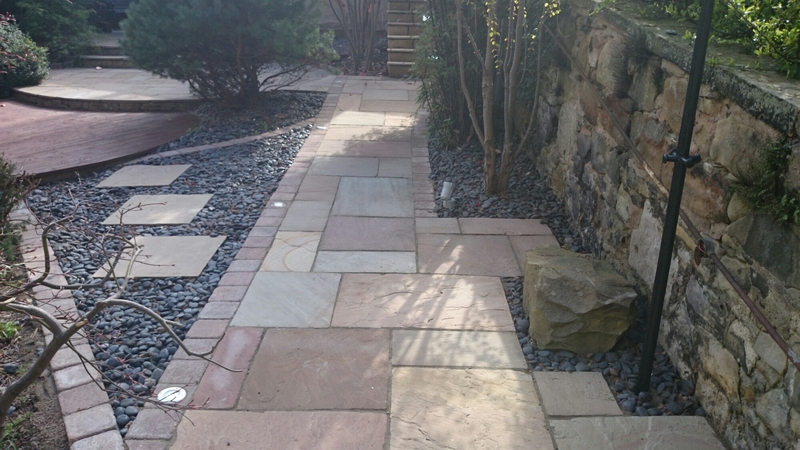 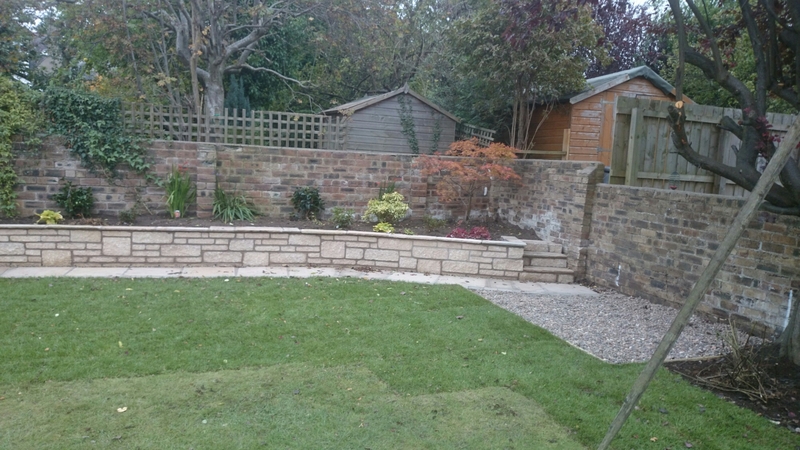 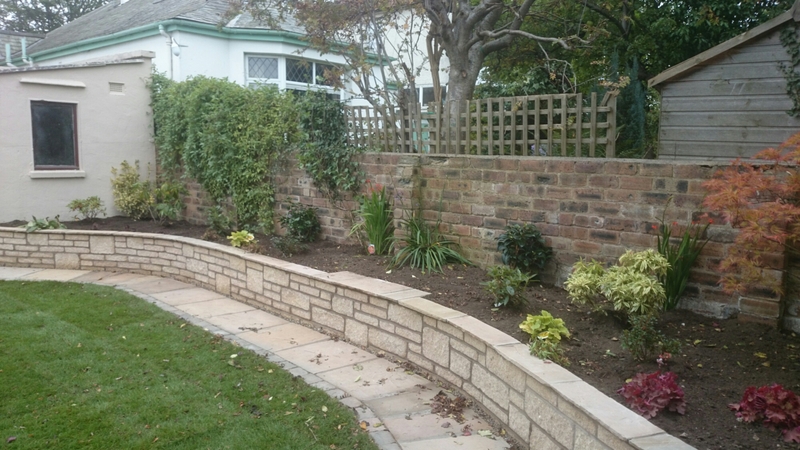 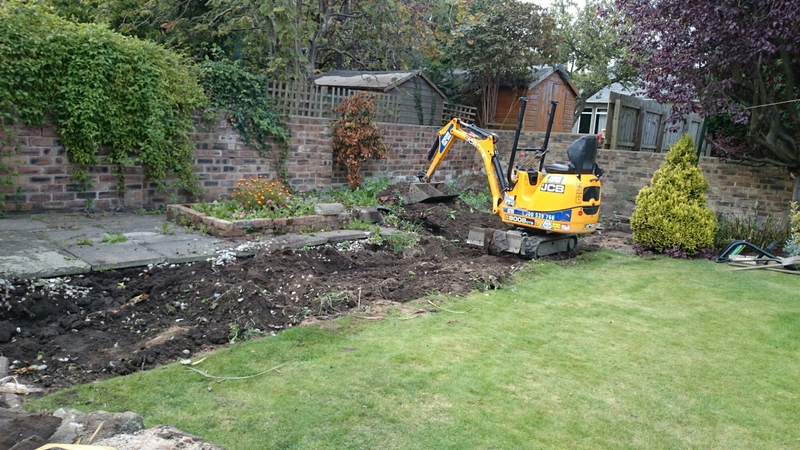 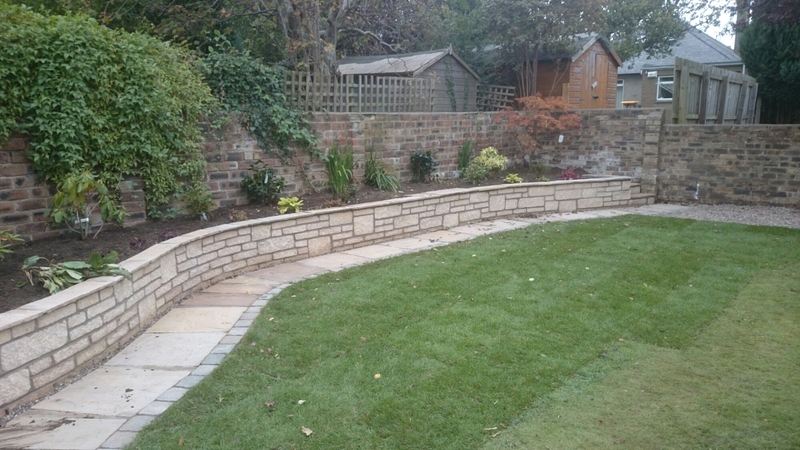 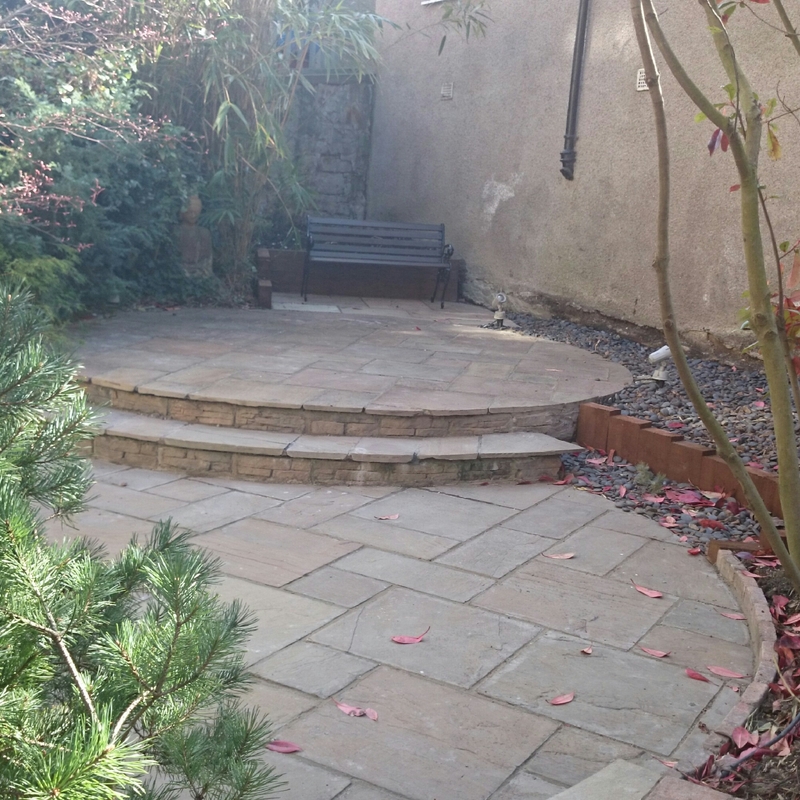 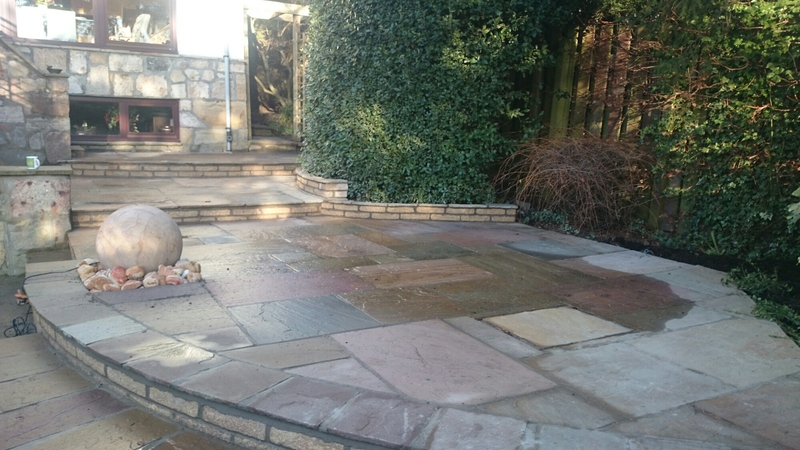 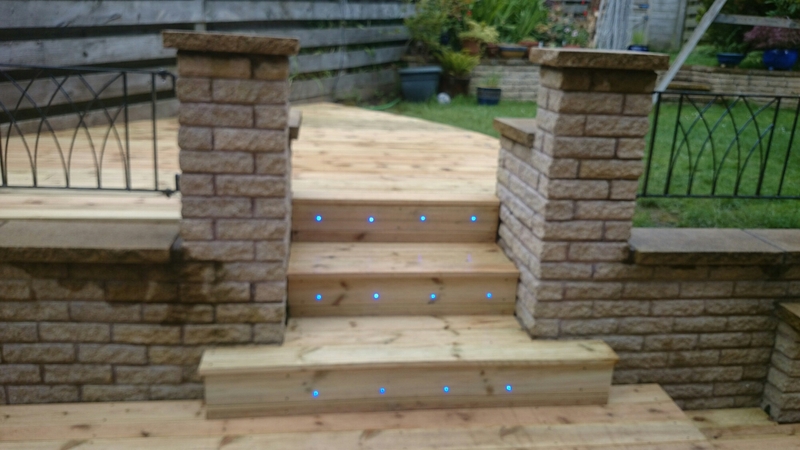 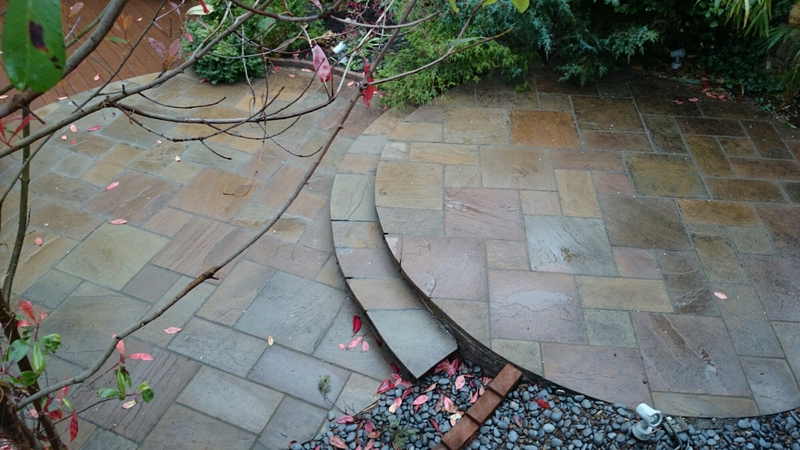 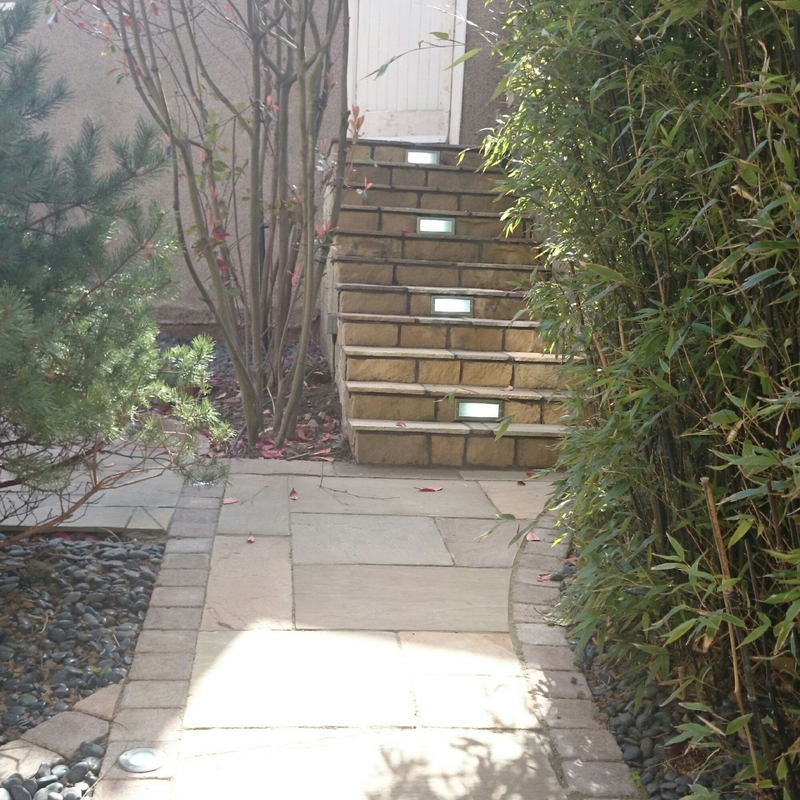 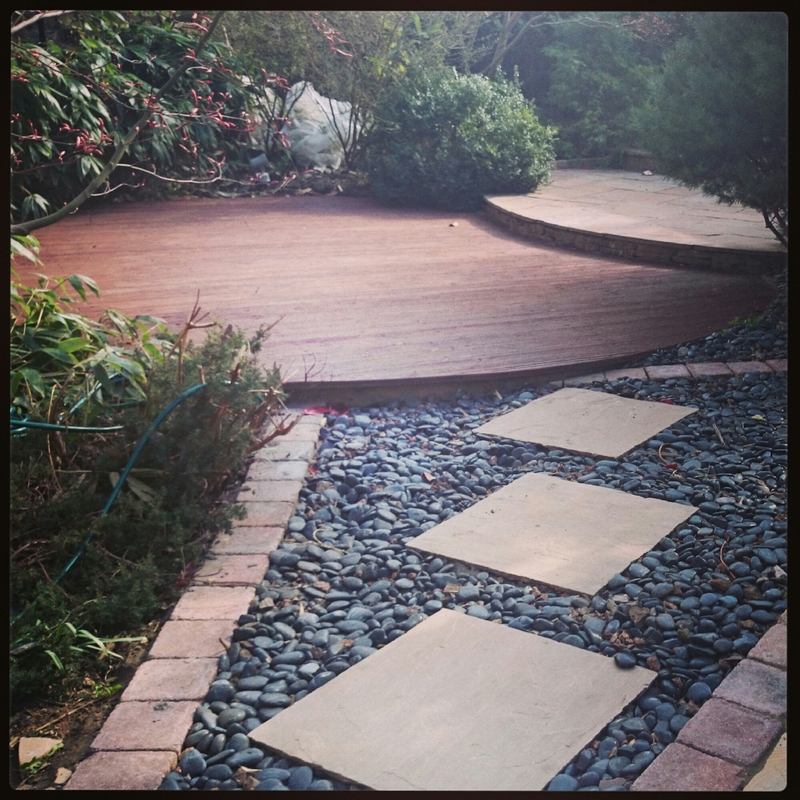 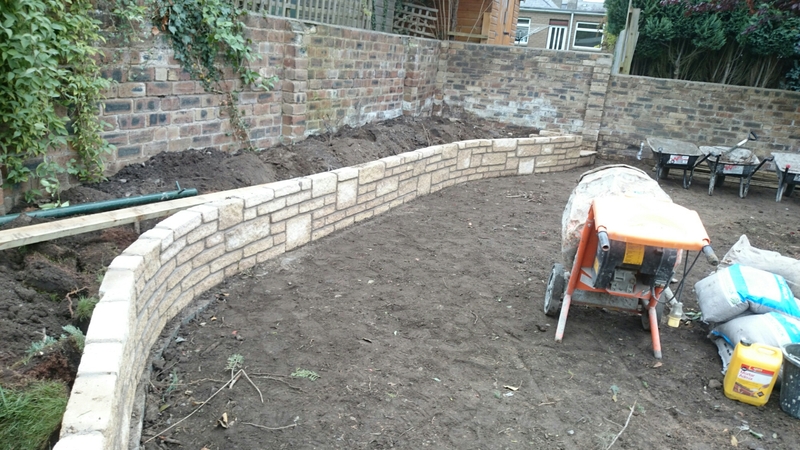 Landscape Gardeners Edinburgh – Decking with balustrade to patio doors and Sandstone paving to form path and patio to rear garden in Edinburgh. 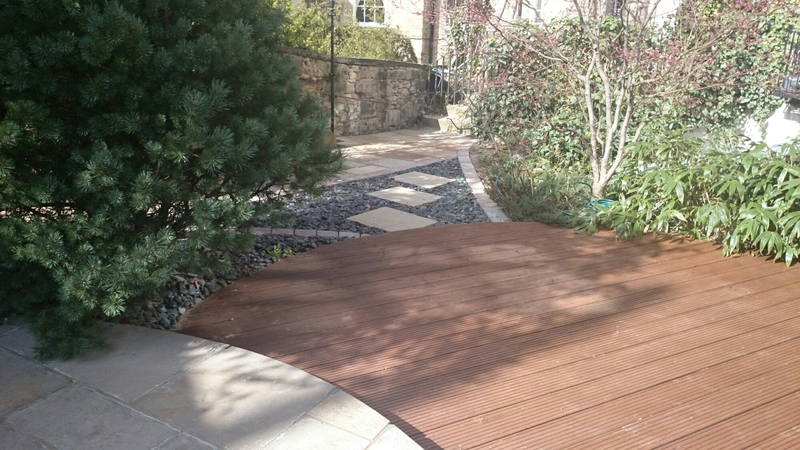 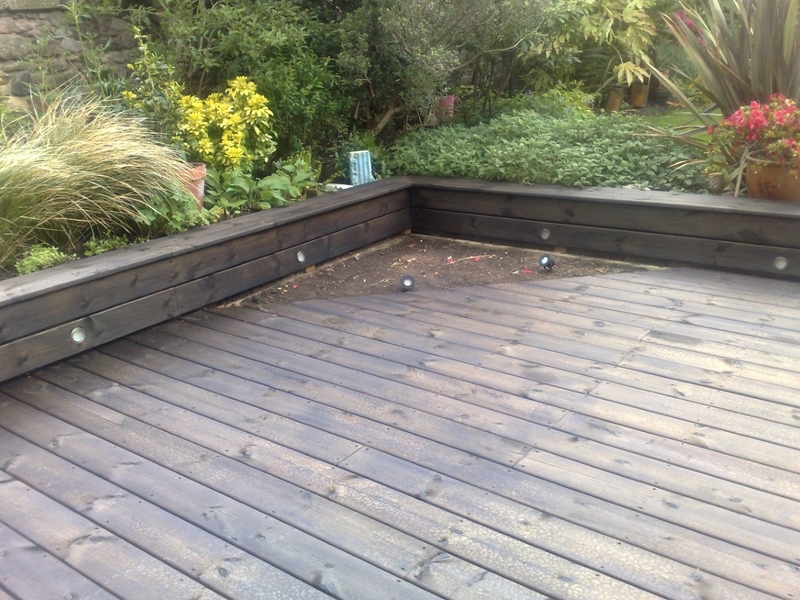 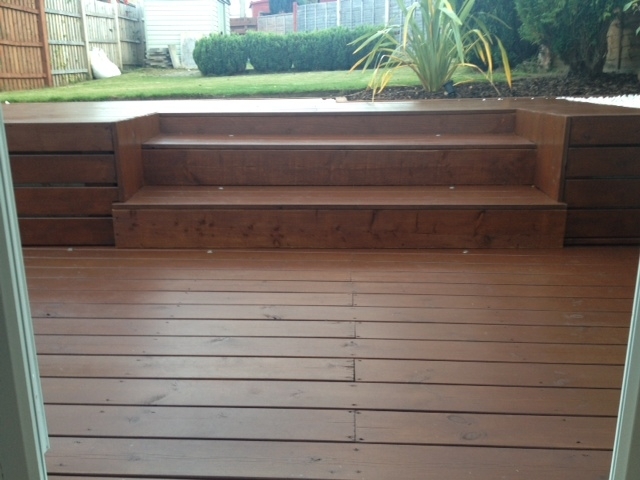 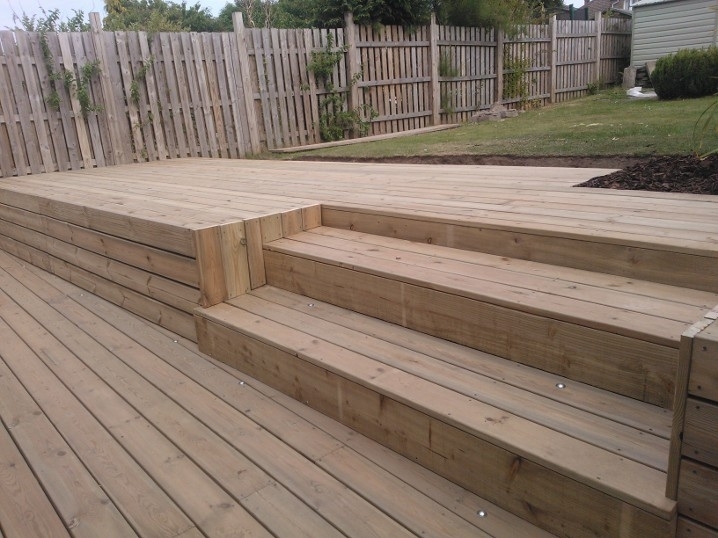 Here are some pictures for a hardwood deck built for a client in Musselburgh. 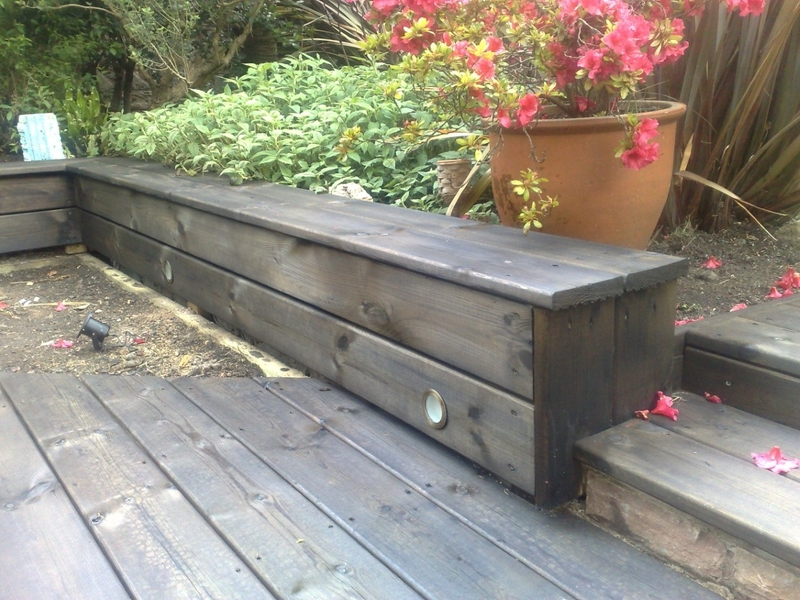 This is yellow balau timber fsc sourced, i.e ethically,and is fitted with stainless steel screws. 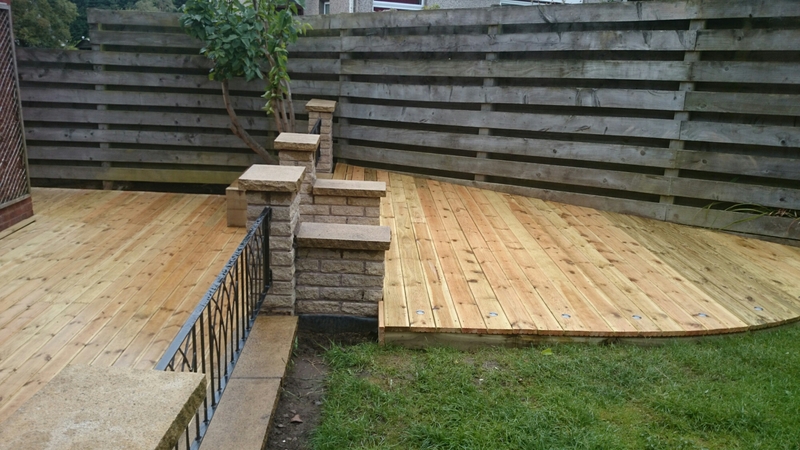 The deck forms a nice bridging to kitchen and conservatory doors and has created a great space for outdoor use when the weather is good it really is another room to the home. 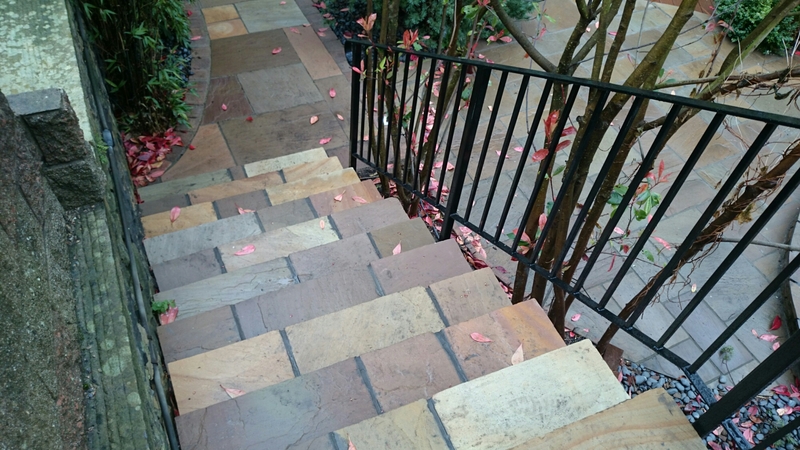 "Gardens are not made by singing 'Oh, how beautiful,' and sitting in the shade."